Some of them are allusions to 20th-century pop culture. "Strangers in the Night" from FIERY CROSS, for example; I always get the Sinatra song stuck in my head for days after I listen to that chapter. <g> Also "Bottom of the Ninth", from DRUMS (the chapter where Jemmy is born). Some are just funny, or unexpected plays on words. "Three-Thirds of a Goat", from FIERY CROSS, with the reference to the "ghost" chapter titles in DRUMS, always makes me smile. And some are baffling, unless viewed in context. "Oenomancy" (divination by wine), from ECHO, made no sense at all to me until I read the chapter. Ditto for "Amplexus", in SCOTTISH PRISONER. I haven't paid much attention to the chapter titles because I've been so engrossed in the story. My favorite has always been "Lost, and By the Wind Grieved" in Voyager when Young Ian is captured. I don't know why this resonates with me but it sounds so poetic! Ms Henry: I am having rouble discerning any other means of contacting you, so I'm trying this. 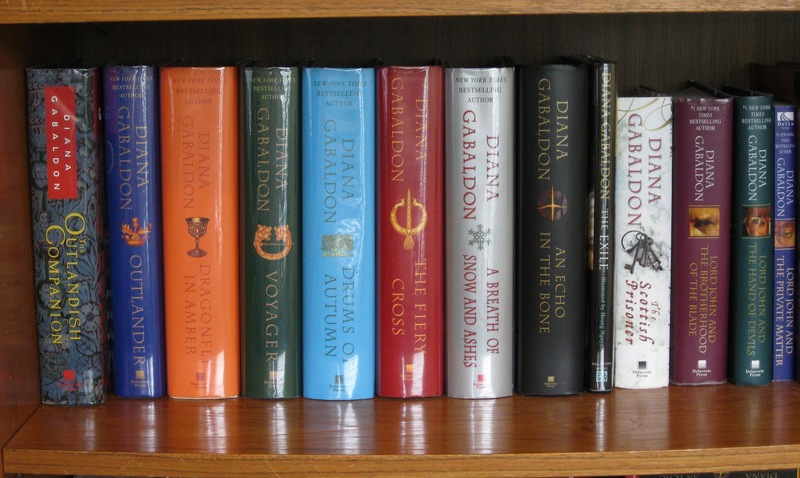 I'm a senior writer at Maclean's, the Canadian newsweekly, and I'm going to interview Ms Gabaldon on Monday (June 2). I'm interested in speaking with her fans as well, and though their number includes every woman I know among my wife and her friends, I think it best to try a stranger. Would you be interested in a brief chat on Monday? Just email me a number if so. Thanks for your time.